Green-screen keys (also called “chroma-keys”) are THE go-to effect when you need to insert an actor into a location that is either too expensive or too difficult to bring them in real-life. 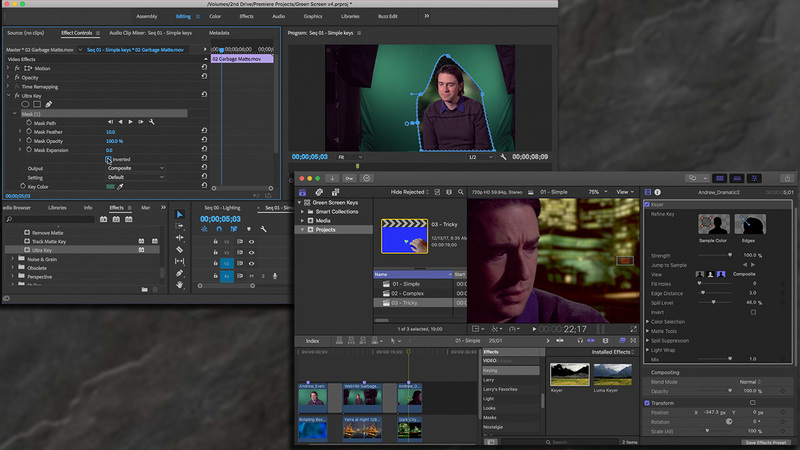 Both Premiere and Final Cut support green screen keys. But, just because the tools are there does not guarantee us a good key. In this week’s webinar, Larry Jordan shows how to create good looking keys in both Adobe Premiere Pro CC and Apple Final Cut Pro X. This fun session gives you a chance to compare keying and masks between the two programs. This is an intermediate-level session. Some knowledge of either Premiere or Final Cut will be helpful. This session is delivered as a QuickTime movie, so you don’t need to own any specific software to watch this.